Beginning in Q1 of 2016, we have converted approximately 1,000 Microsoft Online Services users from the depreciated Advisor model to Microsoft Cloud Solution Provider program. The process has been fairly smooth, but there are a few recurring questions from customers concerning billing and support. For the month after converting to CSP, subscriptions in the Office 365 Admin portal will show “Reduced functionality”. Your service will not be impacted and there is nothing that you need to do. This is a normal message as the backend billing is transitioned to Matrixforce. Similarly, you can safely ignore e-mail messages from Microsoft Support after transitioning that state subscriptions have been cancelled or should be renewed. 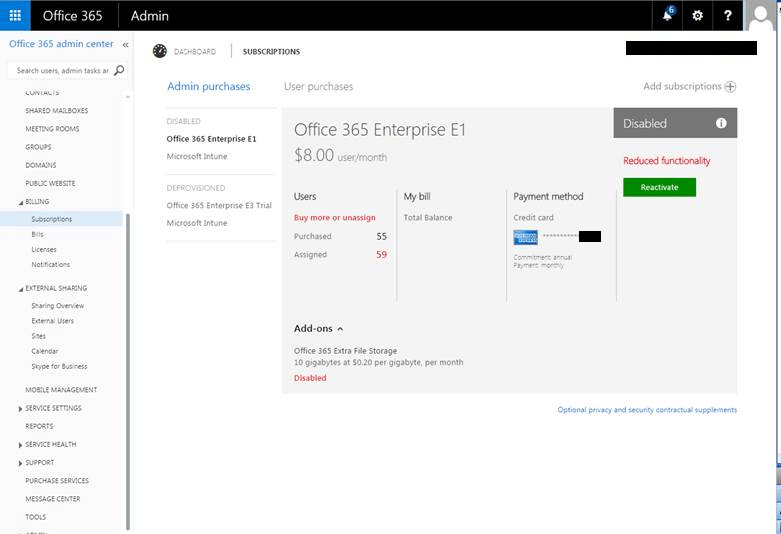 After converting to CSP, customers can no longer submit a case directly to Microsoft through the Office 365 Admin portal. Instead, contact information and a link to Matrixforce is displayed. Matrixforce provides help/how to Technical Support (excluding data migration and customization projects) and Billing/Subscription Management issues such as adding licenses or cancelling a subscription. For break/fix or unusual service disruption issues, Matrixforce can submit a case to Microsoft on the behalf of a customer since Microsoft Support will focus solely on online service operational status. Alternatively, customers may purchase additional support directly from Microsoft with Professional Support of $1,999 for every 5 incidents or Premier Support starting at approximately $4,000 per month. The main customer benefit of the Microsoft CSP program is direct local access to highly trusted and qualified partners. Unfortunately, the minimum investments required by Microsoft Partners is the ability to bill cloud transactions and offer technical support in a local language. Protect your business and ask your provider if they meet the full Microsoft CSP requirements.